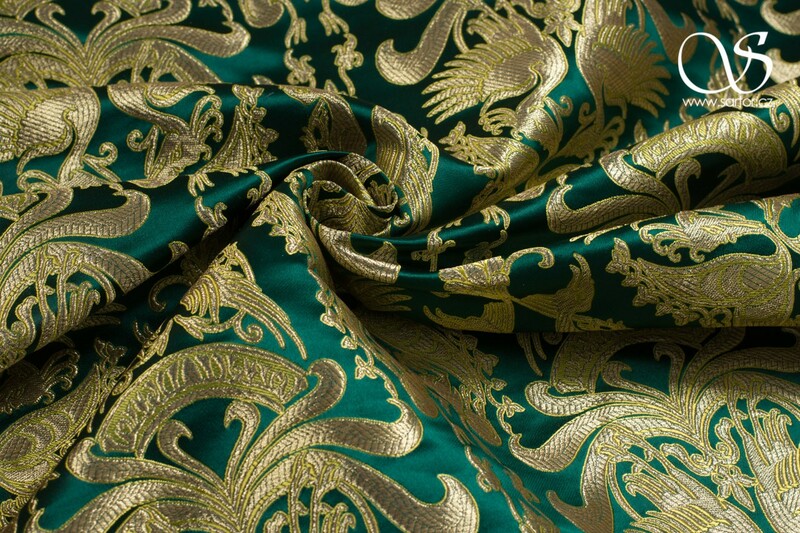 The original, probably of Lucchese origin, dates to the beginning of the second half of the fourteenth century. 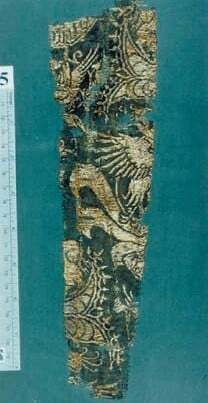 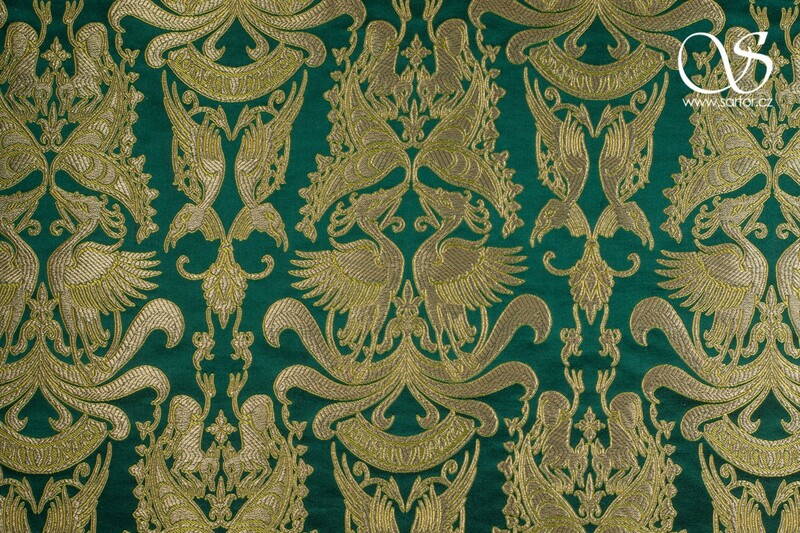 Some of the fabric most likely remained in royal property and was later used also in the funeral of George of Poděbrady, another king of Bohemia. 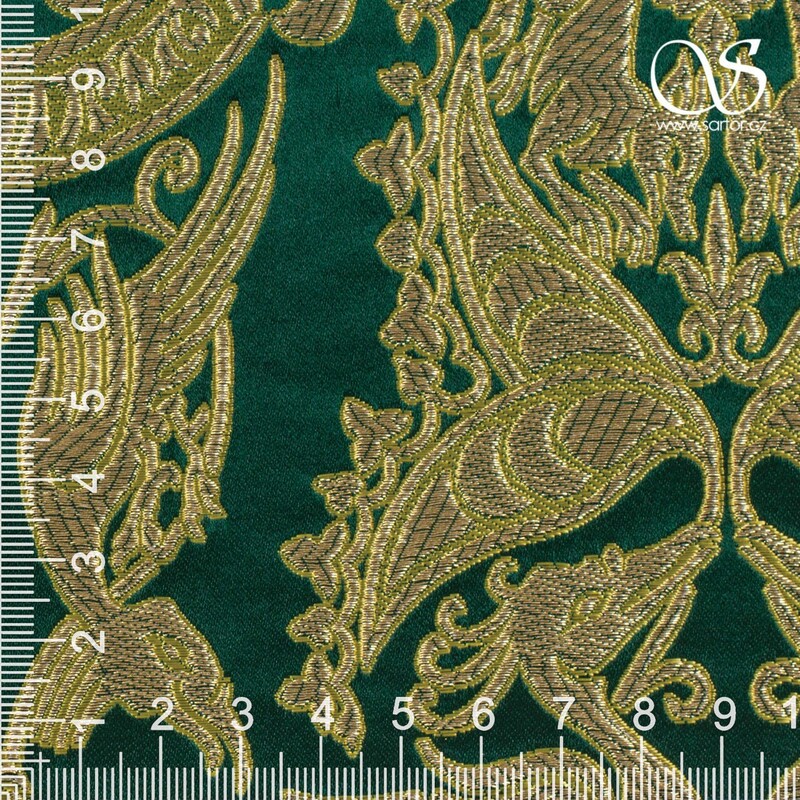 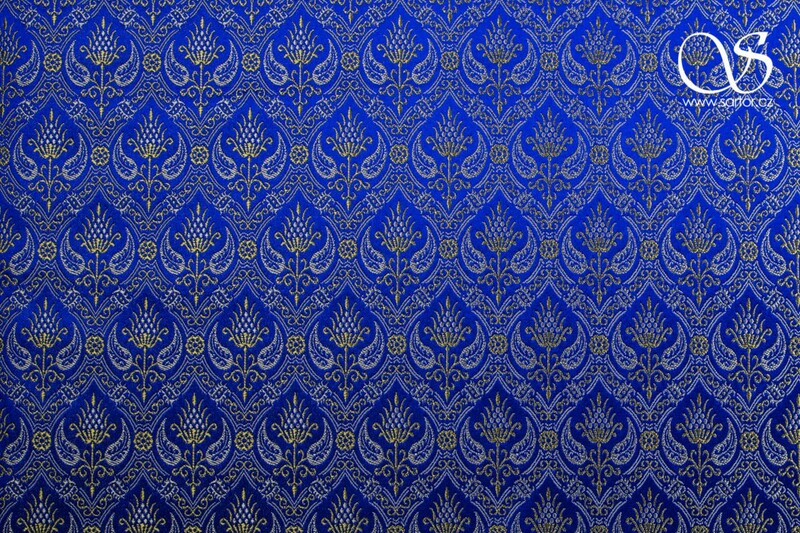 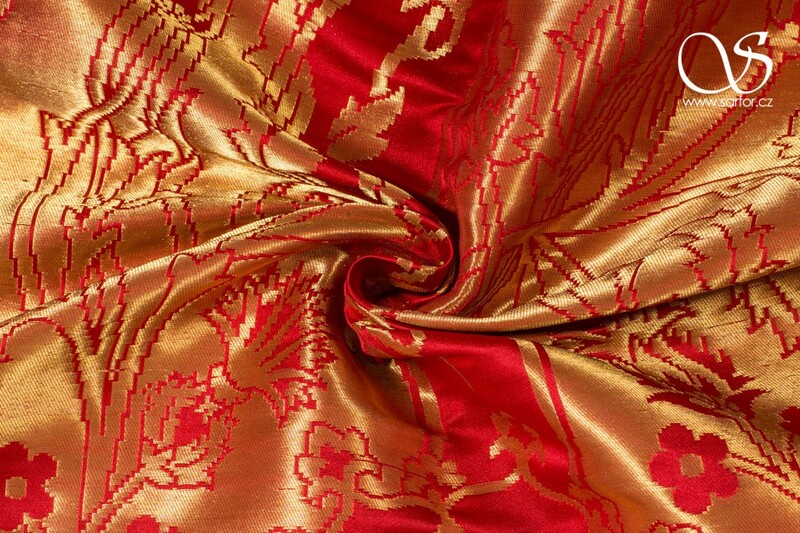 This is an example of so called Trecento silk where the traditional Romanic symmetry is united with then modern Oriental elements. 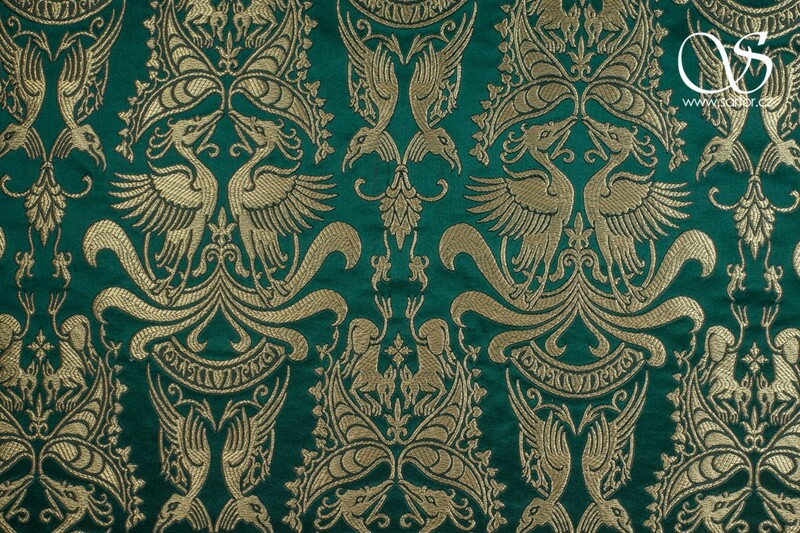 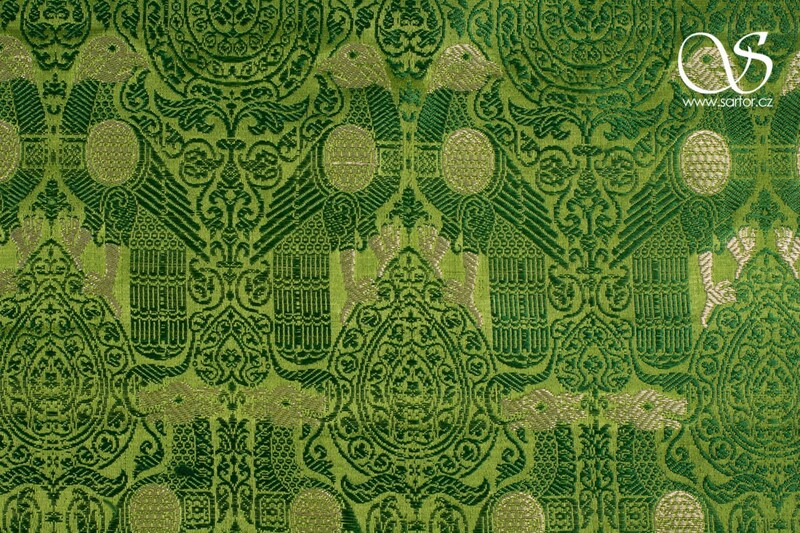 Here one can see a couple of Chinese phoenixes on background of palmette leaves in lower part connected with Islamic-like characters. 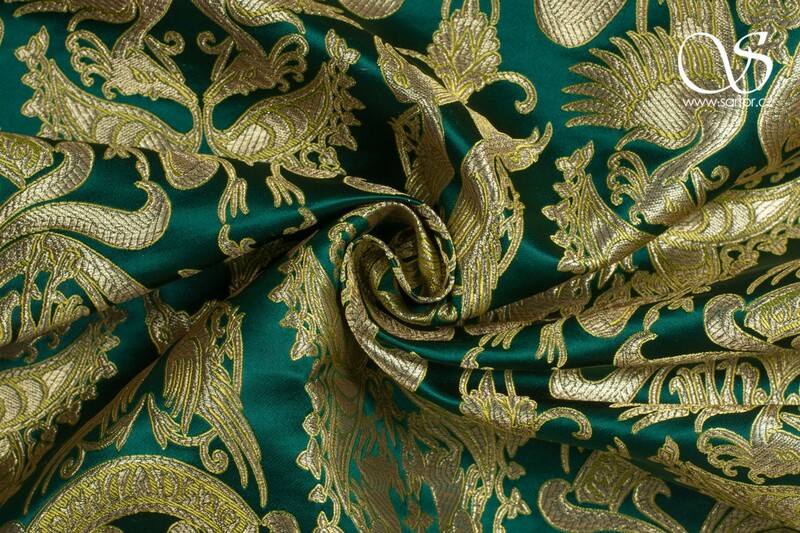 Another pair of Chinese mythical creatures - the Qilins converge to each other above the leaves protruding from stems between the phoenixes. 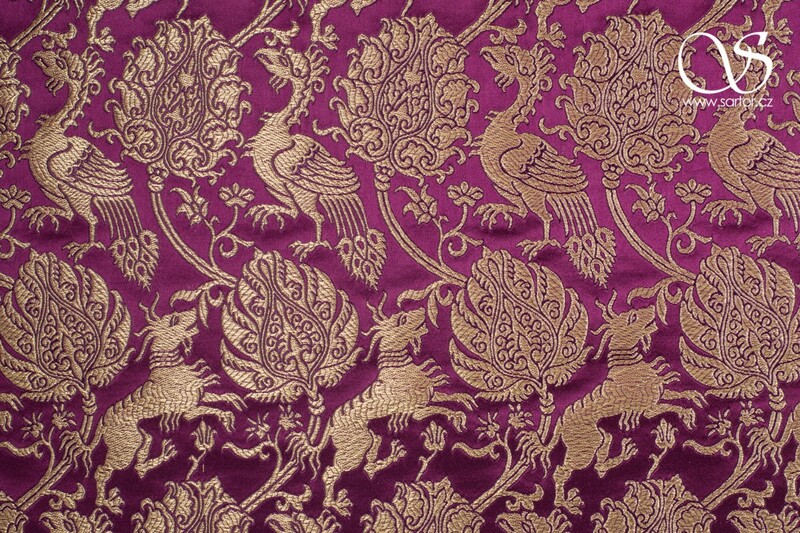 Pairs of phoenixes and qilins were widely used in Lucchese silks of 14th century thus the assumption of its origin. 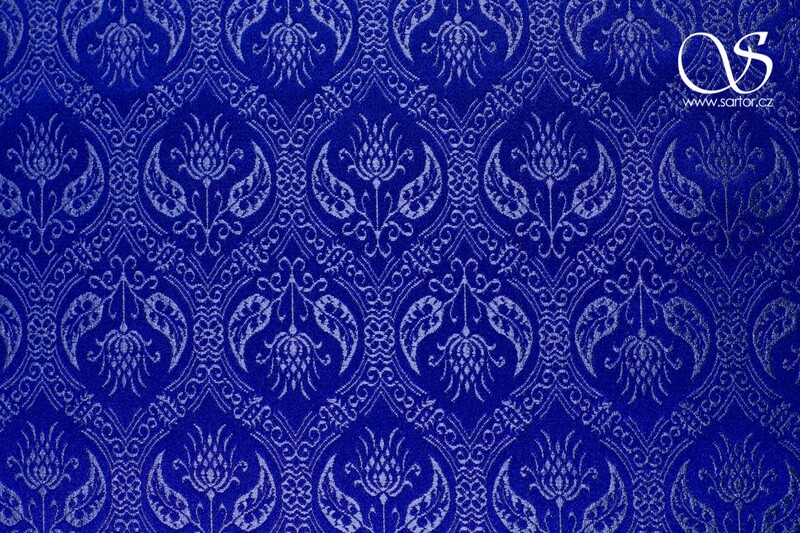 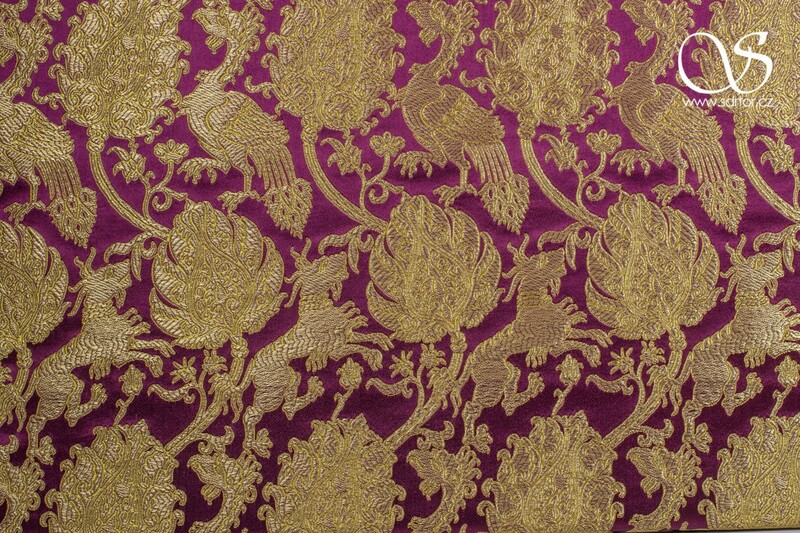 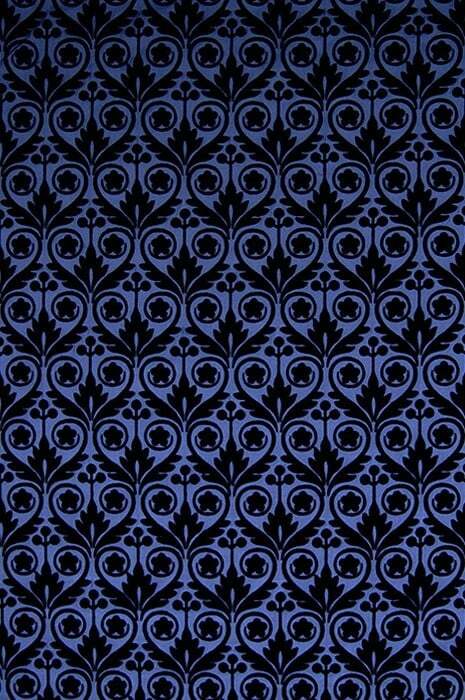 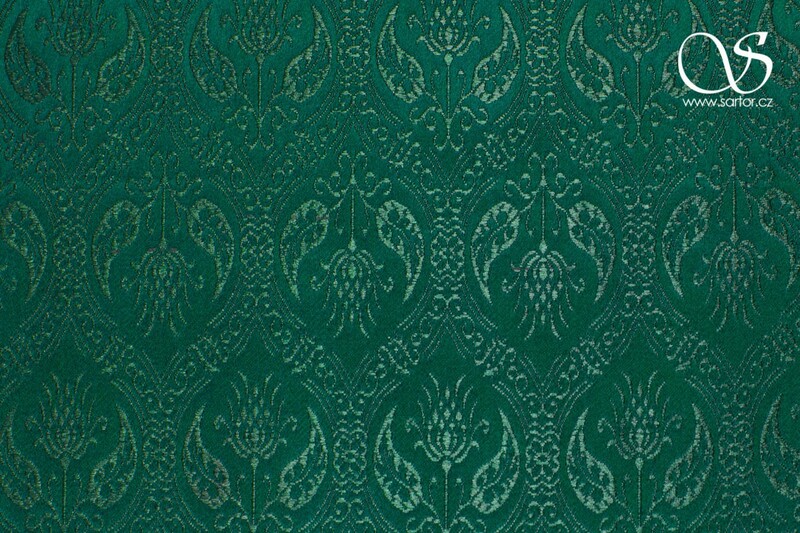 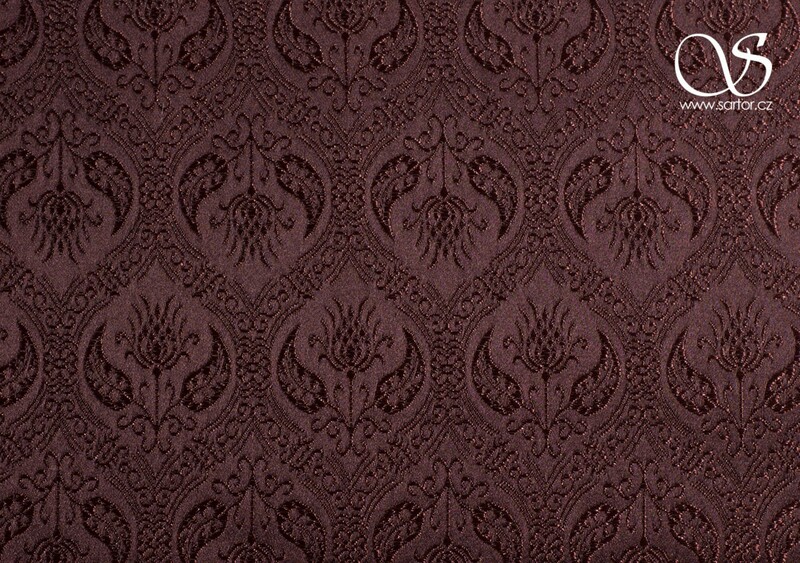 The extant textile is part of the collections of Prague Castle in Czech Republic. 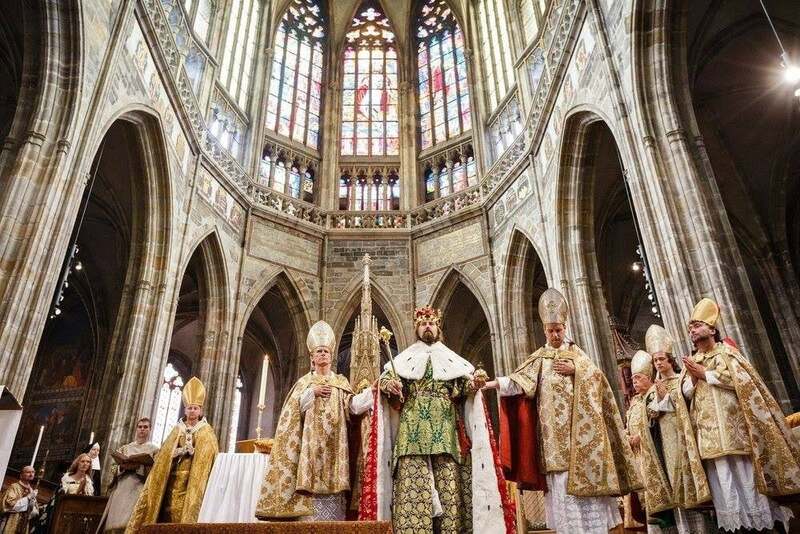 A reproduction was used for reconstruction of a dalmatic which can be seen also in Prague Castle. 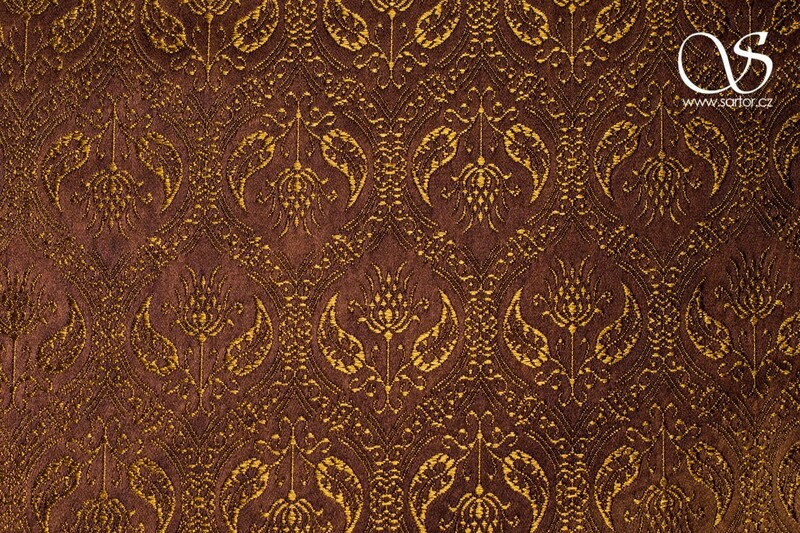 Same reproduction was used in castle Karlstejn in the bedroom of Charles IV. 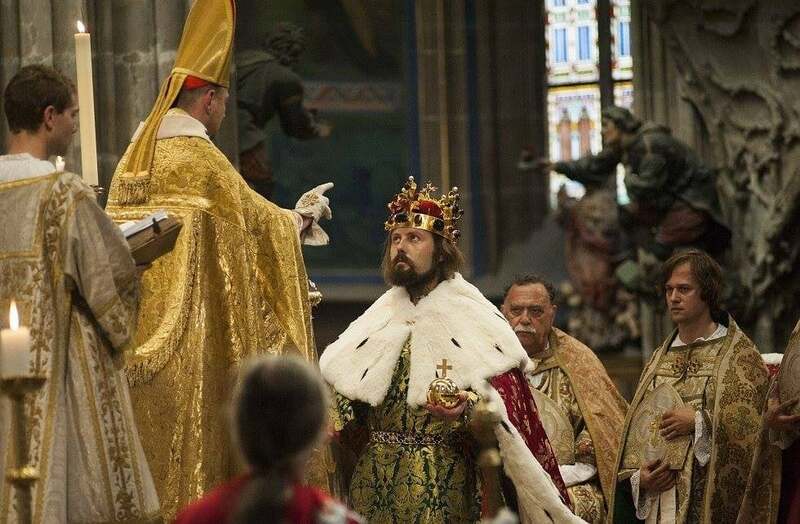 Our own replica was used for the reconstruction of the Coronation of the king Charles IV on occation 700 years from his birth.